If you are planning an event, or simply trying to increase your own leadership skills or those of your organization members and officers, we will sit down with you and recommend leadership programs tailored to your needs. Just call our office to schedule an appointment or visit us during walk-in hours from 1:30 p.m.-5 p.m., Monday through Friday. Check out our semesterly and annual awards and recognition below, too. First-year students can join The Edge Leadership Experience to learn and practice leadership skills. The Northern Arizona University STudent Activities Council (STAC) provides financial support for events that enhance and enrich students’ lives on the Mountain Campus. Any department or registered student organization can seek funding through STAC. 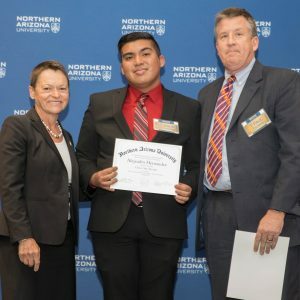 Student organizations seeking funding of less than $1000 should also consider applying for funding through the Associated Students of Northern Arizona University (ASNAU) funding process. This annual student leadership conference is open to all students from experienced student organization officers to new students just beginning to develop their leadership potential. You or your club/organization can report community service in True Blue Connects — learn how to submit your hours and view the FAQs this 10-minute module. You can also participate in community service opportunities through the Civic Service Institute which offers numerous volunteer opportunities. 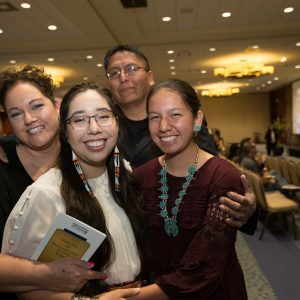 Each semester, Northern Arizona University recognizes seniors who have made outstanding contributions to the university in the areas of academic performance, service, leadership and participation in activities. The seniors who are selected for their contributions will receive the prestigious Gold Axe Award. These awards will be presented at the Gold Axe Award Reception, co-sponsored by the Office of Student Life and the Office of Alumni Relations. In addition to the Gold Axe Award, the President will honor the top applicants with the President’s Prize. Applicants who have completed at least 90 credit hours are eligible to apply for the award in their final semester. Should they be away from campus in their final semester (for internships, student teaching, etc.) they have the option of applying EITHER during their final semester or the previous term (final semester on campus), but not both. This must be the applicant’s first bachelor degree. Applicants must also be enrolled in coursework and be able to provide documentation in order to qualify. The application deadline for Spring 2019 has passed. Please contact GoldAxe@nau.edu with any questions. 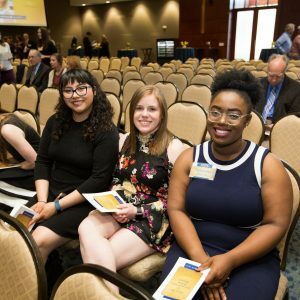 The President’s Service Award is presented to student organizations that have an exemplary record of service and philanthropic commitment to Northern Arizona University and the Flagstaff community. President Cheng and the Office of Student Life recognize these accomplishments and share with the NAU community. Recipients of the President’s Service Award will receive a certificate. Register: Student organization must be registered and active in True Blue Connects. Volunteer: Community service hours and activities must meet the criteria below. Student cannot receive monetary compensation or course credit. Staffing events or coaching a youth sports club without financial compensation. Volunteering at a non-profit human service organization including food pantries, shelters, nursing homes, community centers or hospitals. Attending weekly club or organization meeting or attending an event does not qualify for community service. Participation in self-improvement workshops, clinics, conferences, or conventions are not considered community service. Submit your hours: Report hours to True Blue Connects. All service hours during 2018 must be entered into True Blue Connects for consideration for the President’s Service Award. The application must be submitted and service hours entered into True Blue Connects by 5 pm on Friday, March 25, 2019. Apply for the President’s Service Award. Winners will be honored at the annual Louie Awards reception. The Rodney Mather Award is named for Rodney A Mather, an active and involved student. In his memory, his parents established an award and memorial fund which honors outstanding civic or university service projects by a registered student organization. The selected organization will be honored with a plaque and cash prize. Student organization must be registered through the Office of Student Life. Student organization must create an outstanding civic or university project during the preceding (2018) calendar year. Recipients must demonstrate full member participation and sponsors community service that impacts the university and surrounding community. For consideration for the Rodney Mather Award, all service hours during 2018 must be entered into True Blue Connects. 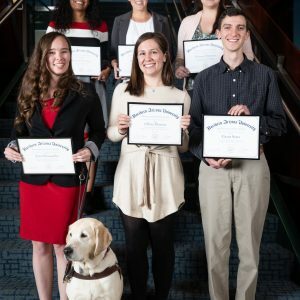 In an effort to recognize a variety of outstanding service related projects, the student organization selected for this annual award will be eligible to reapply for the award on the third year following their selection. Apply for the Rodney Mather Award. Winners will be honored at the annual Louie Awards reception. The Service Learning Award was created by the Office of Student Life during NAU’s 1999 Centennial Celebration. This award honors outstanding service initiatives or programs that extend students’ academic preparation through meaningful community service activities. Recipients are honored with a plaque. Any registered student organization, academic course, or educational program. Check back for the most recent information about the application deadline. Information about how to apply for this award online will be posted soon. Winners are honored during Family Weekend.